He was born about 1789 with the name Kaluaikonahale, the son of Keʻeaumoku and his wife Nāmāhana. He was the youngest of four famous siblings. His sisters were Queen Kaʻahumanu, Kamehameha’s favorite wife who later became the powerful Queen Regent and Kuhina nui, Kalākua Kaheiheimālie and Namahana-o-Piʻia (also queens of Kamehameha) and brother George Cox Kahekili Keʻeaumoku. From then, he was called John Adams Kuakini. “He was more enterprising in deed than other native rulers, and many of the objects which claimed his attention, such for instance as the building of churches and the making of roads, were intended for the public benefit”. “By sea and by land we have enjoyed the protection of God, and the countenance and patronage of the king and chiefs. Especially would we notice the kindness of Kuakini, the Governor of Owhyhee (Hawaiʻi,) who received us with great hospitality, and freely lent his influence and authority to aid us in the attainment of our immediate objects”. 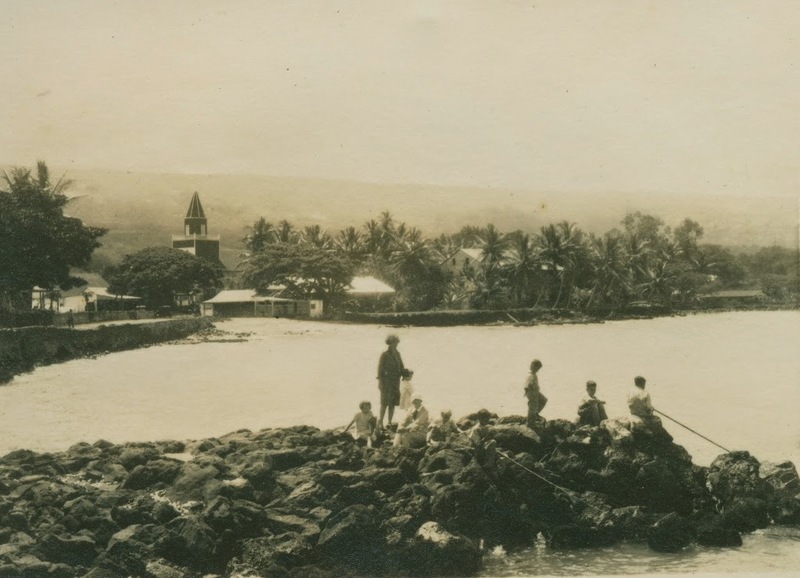 During his tenure, Kuakini built other historical sites that dominate Kailua-Kona today. The Great Wall of Kuakini, probably a major enhancement of an earlier wall, was one of these. The Great Wall of Kuakini extends in a north-south direction for approximately 6 miles from Kailua to near Keauhou, and is generally 4 to 6-feet high and 4-feet wide. He built Huliheʻe Palace in the American style out of native lava, coral lime mortar, koa and ‘ʻōhiʻa timbers. Completed in 1838, he used the palace to entertain visiting Americans and Europeans with great feasts. The Palace was constructed by foreign seamen using lava rock, coral, koa and ʻōhiʻa timbers. Kuakini oversaw the construction of both Mokuʻaikaua Church and Huliheʻe Palace and these landmarks once shared a similar architectural style with exposed stone. Kuakini died December 9, 1844 in Kailua-Kona; the Palace passed to his adopted son, William Pitt Leleiōhoku. Leleiōhoku died a few months later, leaving Huliheʻe to his wife, Princess Ruth Luka Keʻelikōlani. It became a favorite retreat for members of the Hawaiian royal family. A highway is named “Kuakini Highway,” which runs from the Hawaii Belt Road through the town of Kailua-Kona, to the Old Kona Airport Recreation Area. He is also the namesake of Kuakini Street in Honolulu, which is in turn the namesake of the Kuakini Medical Center on it.